Interested in visiting the far North East or the so called Scotland of the East? 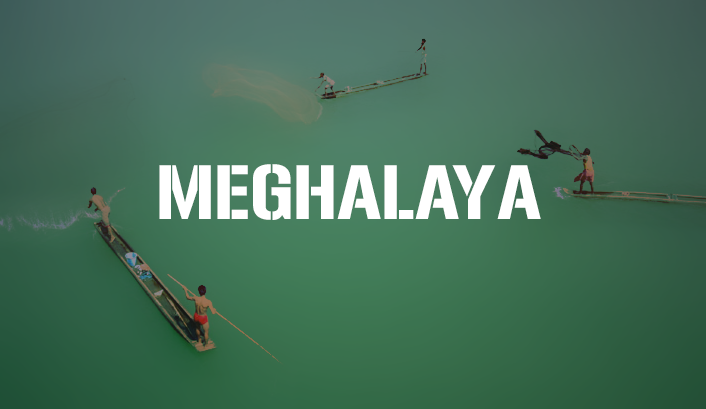 Searching for information about Meghalaya? In this article, I have described brief details about how to plan this holiday.. The state is mesmerising with waterfalls, forests, lakes and mountains. At least one holiday in this place will leave you with cherishing memories for life. Read this article and plan a trip to Meghalaya. Wondering where to go on this vacation? Why don't you check out the Scotland of the far East? It is none other than Meghalaya, where you will fall in love the mountains and the waterfalls and the mesmerising beauty of this place . This article will help you to plan your Meghalaya trip. Here it is, my experience of planning our one week trip to Meghalaya. This is how it started. The plans were made in Mumbai well ahead of the trip, about three months ago. The search commenced with information collected from the Meghalaya tourism website, other travel blog sites, and the booklet obtained from the MTDC- Meghalaya Tourism Development Corporation, and last but not the least: a couple of travel operators. About two weeks of the survey was enough to decide various aspects of the trip including how to travel to the capital of Meghalaya, about Shillong, tourist attractions, places to stay, places to shop etc. Did you know that Shillong is the only hill station in the entire country which can be accessed from all directions? By air directly to Shillong: You can land into Shillong through Umroi airport, which is also called the Barapani Airforce Base. Only Air India flight operates to this airport from Kolkata and returns on the same day. The city is about 40 km from the airport which is reachable by bus or taxi. By air through Guwahati: You can take a flight to Gopinath Bordoloi International Airport, Guwahati and travel by taxi or rental car through NH40. It takes about 3 hours to reach from Guwahati to Shillong. By bus from nearby states: Government and private buses ply from the surrounding states to Shillong from various places like Guwahati, Tripura, Mizoram, Dimapur, Agartala etc. While on the way to Shillong, you will catch several glimpses of the Barapani / Umaim lake, while you travel along the winding roads. The drive is through the lush green hills and forests interspersed with small villages along the road. Even share cabs, of varied sizes, are available to reach Shillong. Meghalaya means the abode of the clouds. During the British regime, in the 1870s Assam was formed as the Chief Commissioner's Province with Shillong as the capital. The name came up from U-Shyllong, a powerful deity. It was much cooler than the remaining parts of the country being located in between the Brahmaputra and Surma valleys. In 1972 a new state of Meghalaya was created with Shillong remaining its capital and Guwahati became the capital of Assam. This city Is home to several waterfalls and is also known as the Scotland of the East. Get to know the people of this place, and understand their culture and lifestyle. The state is typically cosmopolitan by nature with the majority as belonging to the Khasi tribe of Mon-Khmer origin, Garos- Tibeto-Burman ancestry, Jaintias from South East Asia and many of them have converted to Christianity. The other minorities in the state include Assamese, Bengali, and Nepalis. The clan and the family head is a man. But it may be surprising to know that in the Khasis, the mother's name is passed on to the children and the youngest girl child inherits the ancestral property. Overall the people of this state are known for their hospitality, cheerfulness, and friendliness. Remnants of the British regime are evident in the food habits, and house architecture. The houses have slanting roofs, wooden windows, doors and floors which are ideally suited to counter rains and earthquakes. Shillong is an educational hub for the entire North East with reputed institutes in almost major sectors like: IIM-Shillong: Indian Institute of Management, National Institute of Technology-Meghalaya, University of Technology and Management, North Eastern Hill University, Martin Luther Christian University, Institute of Hotel Management, Shillong and North Eastern Indira Gandhi Regional Institute of Health and Medical Sciences, English and Languages University, several engineering institutes and many more. Students from all parts of the North East throng to Shillong for basic and higher studies. After a brief of the state, city people let us check out where to stay during the holiday in the land of the clouds. There are many hotels and homestays in and around Shillong. You can check out various budget hotels right in the Shillong market or a little further from the market. If you are interested in a lovely view, you can enjoy staying in the Meghalaya Tourism Development Corporation Hotel on the banks of the Barapani lake. If offers a wonderful view of the lake. The food here is awesome. We did not stay there but had lunch after the visit to the Barapani lake. The restaurant faces the lake. The hotels are reasonably priced, clean and compact. There are ample types of food to choose from like the Khasi, Chinese, Tibetan, Punjabi, South Indian, Marwari, Gujarati, Western cuisines. The marketplace houses many food joints and you can also get food in the hotel where you stay. The most suitable time to make a trip to Meghalaya is during the period of October -November and March-April. During these periods the hills are lush green with pine forests, cherry blossoms and overall a mild tropical climate. During the monsoons which last a little longer than the rest of the country, the state receives heavy rainfall. So do remember to take light windcheaters or umbrellas with you. You can book a vehicle- santro, sumo, tavera, ambassadors etc. for the whole trip or per day as you wish. The rates are quite standard. You can book through a travel operator or from the hotel directly. For near about locations, you can also take a black and yellow taxi or a local bus depending on your budget. Luckily we met a couple on the Kolkata-Shillong flight and we shared the local travel plan with them. Even though we stayed in different hotels, we got together for dinner and planned the next days travel. We went to the market and searched for various taxi operators. Incidentally, the one arranged by the hotel turned out more reasonable than others. Local sightseeing costs were halved, we built a rapport and enjoyed like old friends. The state has ample places to see including monuments, temples, valleys, lakes, waterfalls, Living Root Bridges , Asia's cleanest village- Mawlynong , limestone caves, forests, wild life sanctuaries. But you need time. Shillong is also a haven for attractions like the Elephant falls , Shillong Peak , Butterfly museum, Sweet falls, Ward's lake , Golf Course, Laitumkhrah Cathedral , Lady Hydari Park etc. At the end of the day enjoy shopping in Police Bazar and empty your pockets buying handicrafts. Near about locations are Barapani or Umiam Lake and Bishop Beadon Falls. Often the places to visit are many and the days limited. Depending on the number of days available here are a few suggestions of an itinerary for you, day wise: you can change the order as you wish and depending on the weather. Shillong local sightseeing: for one full day if traveling through Guwahati or combine with landing and leaving day if Shillong airport. Sohra: you can also visit Mawdok Valley, Ramkrishna Mission, Nohkalikai Falls, Mawsmai Caves, Eco Park, Thangkharaing Park, Motrop- a giant conical rock. If you have more days at hand check out Mawphlang Sacred Forest about 25 km from Shillong, Nongkhnum Island, one of the biggest river island in the state and the second biggest river island in Asia after Majuli island in Assam. Apart from the above you can enjoy trekking along the Living Root Bridge, Kyllang Rock, David Scott Trail, Sohpet-bneng or sailing, water skiing, angling and canoeing at the Umaim water sports complex or even River canyoning at Sohra. Check out Sohra/ Cherapunjee one day trip here. The choices are many but you need to choose the tourist attractions judiciously, keeping in mind the time at hand, budget, food likes, and physical stamina. Enjoy the trip to Meghalaya, the land of the clouds, and very rightly titled the Scotland of the North East. Very helpful tips on destinations in Meghalaya. Thanks for this post. Could you give an idea about the budget for this trip? I want to go for a 5 day trip in Meghalaya to explore these popular destinations there. I have a mid-range budget. How much do home-stays cost in the popular places in Meghalaya? Thanks. It was wonderful reading the post. Check flights online. We paid around 15k per head. Stay in Shillong and move around. It is quite cheap, up to 1000 to 2000 per day. Food is also reasonably priced and you will enjoy all types of cuisine. The total trip for 5 says per head costed around 30k. Hope this helps you for planning a trip to Meghalaya. Can u suggest some budget hotels in Shillong? All hotels that I could find on Google are above Rs 3,000. I am planning to stay for a week with my friend. It would be of great help if you can share contact numbers of taxi operators that you engaged. Is it possible to go there in December January? How is the climate and natural beauty? Your article represents Meghalaya as a very beautiful place . I have never visited or haven't even thought about visiting that place. But after reading your article, Meghalaya sounds to be a very interesting place. And now, I am very much excited to visit Meghalaya. Thank you for such informative article. We are actually planning to got to Shillong and the surrounding areas. We will be taking the Kolkata- Guwahati flight route (roundtrip). 1. Budget is 12K approx per person for 2 people. 2. We will be travelling for 6 days (including the flight journey). 1. What are the adjoining areas that can be covered in Shillong? 2. Is it possible to cover Cherrapunji and Mausinram within this budget? 3. Suggest some hotels with moderate cost. 4. Suggest changes in the plan (if necessary). Can you suggest a detailed itinery for the same? Please suggest the transport medium as well. 1. You can check out Place to Visit above. the hyperlinks describe various attractions in and around Shillong. 2.yes, you can cover Cherapunji and Mausinram in this budget. What you can do is travel by local bus to the city and then take an auto around the place. 3. Check online for hotels andat reasonable cost. In case it is a holiday season, then please book the hotel online. Else just reach Shilliong, reach Police Bazar and check out a few hotels in the area. They may bargain too. 4. The main attractions are Umiam lake and the various waterfalls. My articles will provide you with the list of places and you can choose what to see. Enjoy and have safe trip. Very informative article describing how to plan a trip to Meghalaya. Wonderful job.